See Bob. See Bob bob. Bob, Bob, bob! Hey! Those are my Bruno Magli’s! Today I got back to the office and found out that Dracula’s feet had broken off. 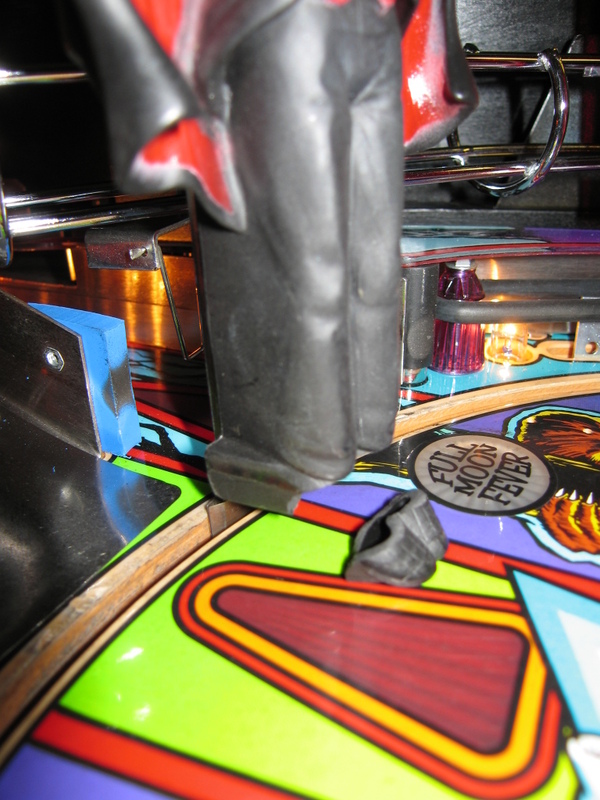 Dracula is a figurine in the Monster Bash pinball game. Marco sells new Dracula figurines for $48.50. I think I’ll try epoxy first. All pinball, all the time. Yesterday Brad and I went to California Extreme. CA Extreme is an arcade game show. There were several dozen pinball tables there and countless video consoles. I don’t know how many games I played, but it was many. We also attended a couple of talks, and I met famous designer Steve Ritchie, who is even more deaf than I am. Then we watched the DVD, Tilt, about the decline and fall of the pinball industry. Did I mention that I’m sleeping in the game room, surrounded by pinball and video games? It was a fun day. I just wish there were more pinball in it.